This talk attempts meet the challenge of our populist moment: to refresh and redefine the meaning of "the people" in order to animate a new collective political subject. Theatre and other forms of performing arts will play an important role: their embodied address, embracing varieties of expression from rational to affective, from language to movement, from sound and spectacle to quiet reflectionthese can be harnessed to a powerful political motivation forming an aesthetics of resistance and change if we can achieve clarity about suitable aesthetics for invoking a meaningful "We." Janelle Reinelt is Emeritus Professor of Theatre and Performance, University of Warwick, UK as well as University of California, Irvine. She has published widely on politics and performance, receiving the Distinguished Scholar Award for lifetime achievement from the American Society for Theatre Research (2010), and an honorary doctorate from the University of Helsinki in 2014. 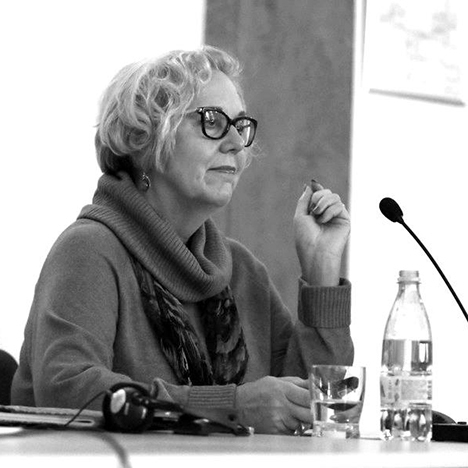 She was President of the International Federation for Theatre Research (2004-2007), and was awarded the Excellence in Editing prize (with Brian Singleton) for their Palgrave book series, Studies in International Performance in 2012. Her recent books include The Grammar of Politics and Performance with Shirin Rai (2014), and Gendered Citizenship: Manifestations and Performance with Bishnupriya Dutt and Shrinkhla Sahai (2017).